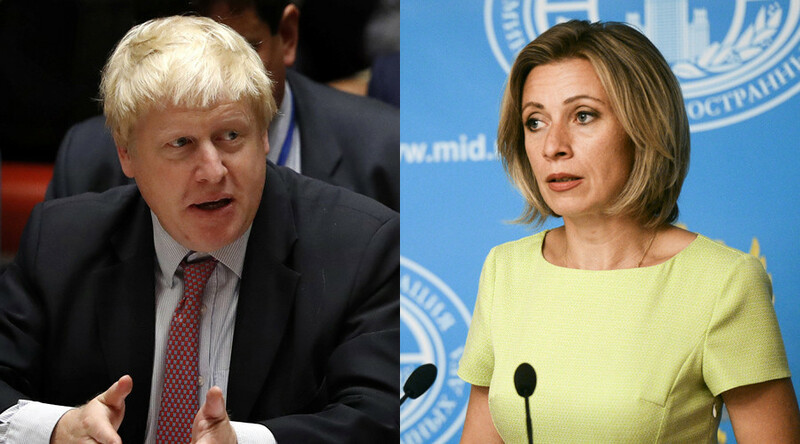 The Russian Foreign Ministry’s spokeswoman, Maria Zakharova, lashed out at the British Foreign Minister Boris Johnson after he claimed in an interview with the BBC that Russia is “guilty of protracting” war in Syria and potentially of committing war crimes. “All correct, expect for two words: one should put ‘Britain’ instead of ‘Russia’ and ‘Iraq’ instead of ‘Syria’,” Zakharova said in a Facebook post, responding to the British minister’s comments. Speaking on the Andrew Marr show on the BBC, Johnson said that he believes Russia is "guilty of protracting" the war in Syria and of "making it far more hideous". He also said he was “pretty convinced” that Russia was behind the attack on a UN aid convoy near the Syrian northern city of Aleppo. Russian President Vladimir Putin was “not only... handing [Syrian President Bashar] Assad the revolver. He is in some instances actually firing the revolver himself,” Johnson said. "We should be looking at whether or not that targeting is done in the knowledge that those are wholly innocent civilian targets. That is a war crime,” he added. 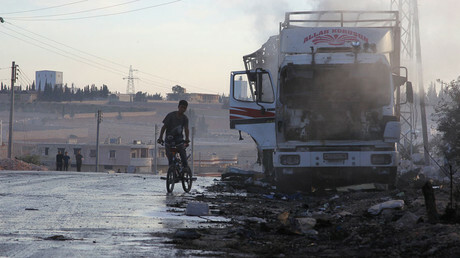 A joint UN and Syrian Red Crescent (SARC) 31-truck humanitarian convoy delivering aid was attacked while offloading supplies in the Syrian town of Urm Al-Kubra on Tuesday. Eighteen trucks were hit and 21 people were killed in the incident. The US immediately blamed Moscow and Damascus for the attack. The Russian Defense Ministry denied responsibility and said that Russian and Syrian warplanes did not launch airstrikes on an aid convoy. The Russian Defense Ministry reiterated that neither it nor the Syrian military had launched airstrikes on the convoy and added that the video footage from the scene shows no signs of the convoy being hit in an airstrike. “We have closely studied the video footage from where the incident took place and we did not find any signs of any ammunition having hit the convoy. There are no craters, while the vehicles have their chassis intact and they have not been severely damaged, which would have been the case from an airstrike,” Russian Defense Ministry spokesman Igor Konashenkov said on Tuesday. 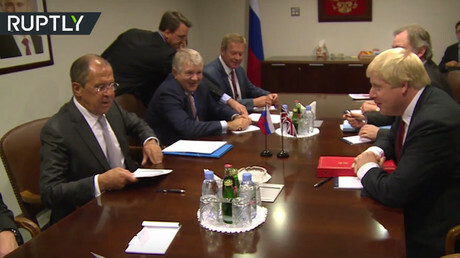 In the meantime, Boris Johnson admitted that the Syrian civil war can be brought to an end only with Russian involvement and urged Russia “to use its influence constructively” during a meeting with the Russian Foreign Minister Sergey Lavrov two days after the attack on the UN convoy. The convoy was hit just days after the US Air Forces, with British assistance, attacked Syrian troops in the city of Deir-ez-Zor besieged by Islamic State (IS, formerly ISIS/ISIL), killing more than 60 soldiers in an air strike that Washington declared an accident. In her comment on Sunday, the Russian FM spokeswoman Zakharova referred to the UK’s involvement in the Iraqi war during which London launched ground operations as part of the US-led coalition in March 2003. The UK’s decisions made during the campaign were severely criticized in the Chilcot report published in July 2016. The report found that the legal basis for the war was flawed and the case for the war was deficient. It also said that Islamic State (IS, formerly ISIS/ISIL) was created by the Iraqi war, citing intelligence reports.